In the NDAA 2018, this simplified acquisition threshold increased from $100,000 to $250,000, in order to expand opportunities and increase participation of small and disadvantaged businesses – service-disabled, women-owned, small, and small disadvantaged (what used to be known as 8(a)). What that means is that contracts valued up to $250,000 – a pretty fair amount to most small businesses – don’t have a justification and authorization requirement (known as a J&A). The government contracting officer can just issue a purchase order to the small business. The Truthful Cost or Pricing Act (TINA) (previously known as the Truth in Negotiations Act) was instituted to protect government agencies from unfair pricing practices by contractors. NDAA 2018 also bumps up the threshold for which contracts need this particular oversight – from $750,000 to $2 million. From a government standpoint, this means fewer regulations associated with a larger pool of contract dollars. As we head into the year-end federal purchasing blitz, everybody just got their budgets and they have to spend all of their money by September 30th. These changes give small business contractors important opportunities to get bigger amounts of money in sole sourcing. So You Won a Multiple-Award IDIQ, Now What Do You Do? Posted: February 21, 2018 | Author: Bill Jaffe | Filed under: Federal Acquisition Regulations, IDIQ Contracts, SBA Issues and Legislative Initiatives | Comments Off on So You Won a Multiple-Award IDIQ, Now What Do You Do? Winning a multiple-award IDIQ contract does not give you any new work; in fact it causes work, because you’re going to have to go figure out who can use this contract from amongst your customers, and help show them why moving things over to this contract you’ve won is the right step for them (because it’s also the way for you to get more work!). Look at it this way: If we have a contract with a customer, and that contract is going to be eligible for renewal, would we rather have it competed in its current open scenario, let’s say through FedBizOpps, or would we prefer it to be a more limited competition under one of these multiple award IDIQ vehicles? Assuming for the moment that we think it’s to our advantage as a small business, we now need to convince the government program office and contracting office that this new vehicle is easier to use and meets their needs better. In the case of the GSA vehicles, GSA also wants to help you do that. This is not specifically about any particular piece of business, but that the more you actually bring over business or bring over an old customer doing a new function to this new vehicle where they can get to you, the more likely you are to win that work. You’re trying to convince your existing customer that some piece of work should be put on this vehicle because you can respond to it as a prime. It doesn’t mean you’re going to win over your competitors within the contract, but it does mean that you’re at least going to be in the game as long as you have the capacity to respond. 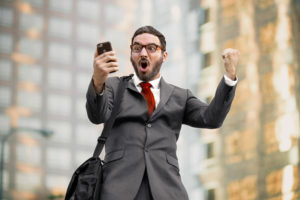 Multiple-award IDIQs are a tempting source of revenue for small business federal contractors, particularly because the numbers are usually very big. Our VETS 2 contract, for example, has a ceiling of $2 billion! But only if you’re prepared, first to be able to write the proposals, and second to bring in the work where you have the knowledge, background or information. Otherwise it’s going to be like shooting in the dark. Stay tuned for a later post when we’ll talk about how to pick and choose targets that you didn’t bring to the table. What is a Multiple-Award IDIQ Contract? Posted: February 14, 2018 | Author: Bill Jaffe | Filed under: Federal Acquisition Regulations, IDIQ Contracts, SBA Issues and Legislative Initiatives | Comments Off on What is a Multiple-Award IDIQ Contract? Many federal contracts are issued as IDIQ – indefinite delivery, indefinite quantity. What an IDIQ means is that although the government may award you a contract with a ceiling value of let’s say $25 million, nothing is guaranteed. It’s all issued in the form of task orders. That’s what makes this an indefinite quantity, because although there’s a ceiling, there is no actual guaranteed contract. In contrast, you may have an annual contract for $25 million, but it’s what’s called a level-of-effort (LOE) contract. Every year for five years you get an option or agreement for $5 million, one-fifth of your 25 million. That is a definite quantity. The indefinite delivery refers to the fact that the task orders can be for differing durations – you could get a task order for one month, six months, or longer. They’re not for a specified time frame. Your LOE contract, on the other hand, has a set delivery schedule of one year, repeated four times. The next distinction we have to make is between single award and multiple award. Obviously if you win a single-award contract you’re the only awardee. Everything that’s done under that contract is done by you. You may have sub-contractors, but in essence you’re the prime; all the revenue comes through you. 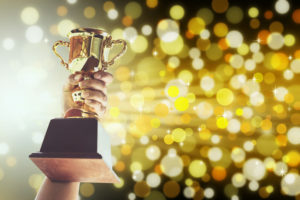 In a multiple-award, not only are the projects issued as task orders, but you have competitors who may also be able to bid on and win those items. For example, with the GSA’s IT Schedule 70, you don’t have to compete to get your contract, but every task order is competed. So you don’t actually get any work or any revenue unless you win a task order under the contract. While a lot of this is changing (we won’t go into that here) the reality is that almost every agency uses some form of multiple-award IDIQ to focus portions of their effort. It may be something central to their mission, or it may be a service that contributes to the mission, like information technology or something of that nature. There are several GSA multiple-award IDIQs in the information technology and engineering areas, such as Alliant, the Veterans Technology Services 2 (VETS 2) program, which is limited to service-disabled veteran-owned small businesses), STARS, which is limited to companies designated 8(a) or small disadvantaged businesses, and OASIS, that’s limited to engineering and related companies in various size standards. Most of thee contracts will have a small business set-aside component, as well as an unrestricted or large business component. Think a multiple-award IDIQ is for you? Stay tuned for the next post, where we’ll discuss what to do once you’ve actually won one. 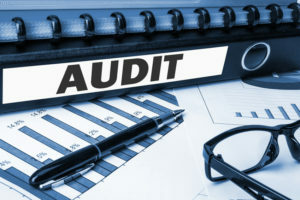 The Defense Contract Audit Agency (DCAA) provides audit and financial advisory services to Department of Defense (DoD) and other federal entities responsible for acquisition and contract administration. They serve as dedicated stewards of taxpayer dollars to ensure that agencies get what they need at fair and reasonable prices. Why does this matter? If these costs are not allowable, allocatable to one of the areas in the indirect cost matrix, they won’t count towards your reimbursement. You can’t claim them and use them to build up your rates. If you’ve spent $100,000 but only $50,000 is allowable, that other $50,00 is unrecovered in your rate schedule. What I’m going to give you in this blog post is the most common things the DCAA looks for. I’m not necessarily going into all the details, rules or regulations. You always have to consult with a knowledgeable contracts person, accountant, or legal expert. The first issue is consultants and consulting costs, where you need to get outside advice. There are many things that a consultant can do for you, but some of these are not allowable costs under the DCAA rules. Let’s say I want to bill the government for an analyst at $100 an hour. From the government’s perspective the DCAA comes out and says a certain amount is salary, some are fringe benefits, some is overhead, some is general administrative, and finally the rest is profit. What goes into those buckets can only be allowable costs. If you have unallowable costs, you may be forced to reduce your rates and that’s what we’re trying to avoid. Of course their goal is to find as many unallowed costs as they can in order to save the government money. Next there is compensation. We’ve got two areas there – executive compensation and incentive compensation. Executive compensation was capped in the Obama administration, so you need to look into those details. 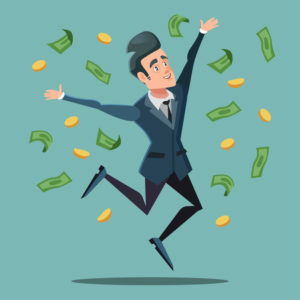 Incentive compensation is very stringently regulated. You can give business development and executive incentive compensation but you have to understand the basis on which you’re calculating and paying those incentives. Again, I’m not a DCAA accountant; I’m just trying to guide you towards what questions to ask so you don’t get in trouble. 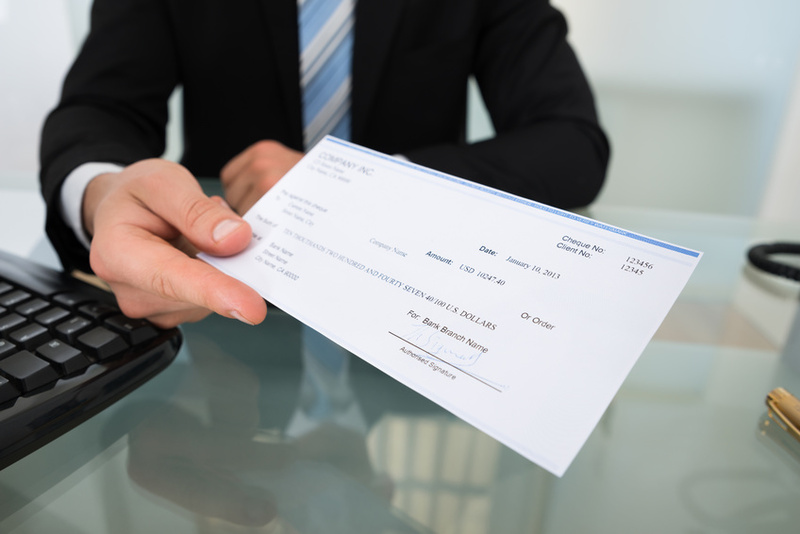 Then we have base labor costs (salaries), and while it seems logical that salaries are covered, you have to be careful because there are lots of things that go into salaries, such as bonuses and gift cards – are they allowable? For example, at our company TAPE, when you get a “kudo letter” from a customer you get a gift card. That would be a labor charge under employee morale, but you have to work that out with your professional advisor. All of the aspects of how you pay your employees, including health insurance benefits, sick leave, etc., must be addressed. As for legal costs, the ones that are associated with your projects in government work are allowable, but legal costs for organizational issues, e.g., issuing stock to members of your LLC or owners of your corporation, may not be allowed. Employee morale is distinct from traditional benefits like life insurance – e.g., you buy soft drinks and put them in the fridge and anyone can take them. That may or may not be an allowable cost. 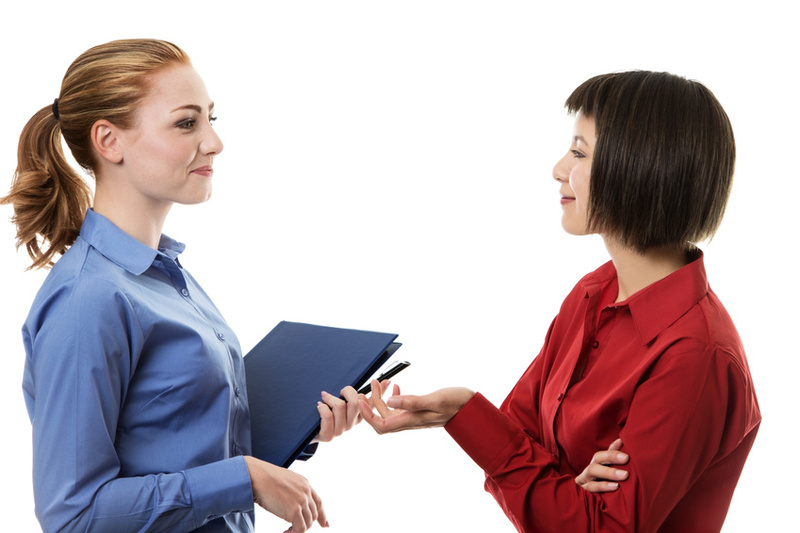 It is an employee morale cost, but you must check that this cost is allowable. These are some of the many things the DCAA will evaluate when they come out, so make sure you are ready for them! This is a guest post by Jason Miller of Federal News Radio. It’s been a year since the Office of Federal Procurement Policy released and accepted comments on its draft circular around category management. With little-to-no activity on the draft circular over the past year, it seems OFPP is taking a less permanent route to further institutionalize this approach to buying. Several sources confirmed agencies submitted comments and OFPP is reviewing them. Government sources familiar with the draft memo say OFPP wants agencies to set goals for using “best-in-class contracts,” and implement demand management by analyzing procurement data and making decisions on who to buy from and how to buy from those vendors. One source said the draft memo would require agencies to negotiate with OFPP a percentage of work that would have to go through some of the currently 29 governmentwide, multiple-award contracts that have been designated “best-in-class.” These include several General Services Administration contracts, such as OASIS for professional services and Alliant for IT services, as well as the governmentwide acquisition contracts run by NASA and the National Institutes of Health. Multiple government sources say they have real concerns about the memo and have expressed them to OFPP. Another government source familiar with the memo said they are not a fan of the “best-in-class” designation because it’s based too much on labor rates or categories, and not based on whether the vendor can do the work the agency needs. 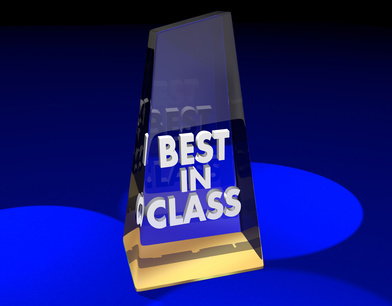 But the criteria for “best-in-class,” according to GSA’s website, are much less rigorous than what Field described. Increase the transactional data available for agency level and governmentwide analysis of buying behavior. Field said OFPP, GSA and other agencies look at those contracts to make sure they meet all these criteria as well as others, such as ensuring they support contracting with small businesses. Roger Waldron, president of the Coalition for Government Procurement, said his members and others in the federal community are concerned about the impact the “best-in-class” designation could have on the marketplace. Waldron said the Federal Acquisition Regulations already tell agencies there are priority sources of supply, so if OFPP wants to hold agencies accountable for using these “best-in-class” contracts, what does it mean for the small business community? Industry isn’t the only place where collaboration may be falling short. The second government source said OFPP has talked — but not to the acquisition community — about category management and the use of “best-in-class” contracts. Sources said OFPP should bring the Chief Acquisition Officer’s Council together to discuss category management and what “best-in-class” really means before creating what some may view as a mandate to use these designated contracts. Government and industry experts say OFPP should reconsider what “best-in-class” really means. The government source said maybe it’s around acquisition practices and not contracts. Waldron said maybe OFPP should consider identifying key characteristics of contracts to drive the best value. Sources say one problem with the entire category management effort is it’s being driven by GSA and they stand to gain from the effort. The first government source said OFPP needs to be more flexible in how it requires agencies to use these contracts. The source said they can’t understand how the GSA Schedules are considered “best-in-class,” given how many vendors there are and the fact that the prices aren’t great to start. This post originally appeared on the Federal News Radio site at https://federalnewsradio.com/reporters-notebook-jason-miller/2017/11/ofpp-drafts-memo-to-replace-category-management-circular/ and was reprinted with permission. You can also click here to listen to Jason Miller discuss the topic on the Federal Drive podcast with Tom Temin. In preparing this blog post we benefitted from support from the Army Contracting Command-New Jersey to make sure the descriptions were correct. Other transaction agreements (OTAs) and their underlying authorities allow for more flexible, commercial–like, and novel business solutions than the Federal Acquisition Regulation. In fact, Office of the Secretary of Defense (OSD) guidance states that contracting officers should not use specific templates for designing such structures. The intent, rather, is for the government to structure business arrangements that are most appropriate for each specific scenario. However, there are OTA structures that have been effectively demonstrated and can be replicated. One such structure was implemented by Army Contracting Command-New Jersey (ACC-NJ) and involves the use of a consortia of companies interested in working with the Army within a given subject area. The OTA consortium model has existed for more than a decade and has cumulatively resulted in the award of over $1B for prototype development. While there are several variants between OTA consortia, the general premise is that ACC-NJ executes an OTA not with a single entity but an organized group of entities that agree to participate under a common rule set. The consortia typically employ a management organization to address administrative needs and manage the flow of information between the Army to the consortia. Typically, these consortia are designed to minimize barriers for new companies to participate. In several cases, the application to become a consortium member is a one-page form that can be completed online with a $500 annual consortium membership fee. Prospective members must agree to the terms of the consortium and the OTA, but these terms are much more flexible than standard FAR-based contracts (e.g., intellectual property issues may be negotiated on a case-by-case basis). Once the consortium self-forms the Government may negotiate and award a base OTA. Once the base OTA is awarded, the Government may issue calls for white papers to the consortium in lieu of full-up proposals, thereby cost effectively separating good ideas from those that are less desirable. The Government may then select a small number of companies to submit a more formal proposal based on the evaluation of the white papers. Ultimately, the Government selects one or more awardees and delivers funding to the selected consortium member(s) – typically through the consortium management organization. In any instance, OTA provides for flexibility to alter the solicitation, evaluation and award process. However, once the process is established, government compliance is extremely important to maintain fairness in determining contract awards. 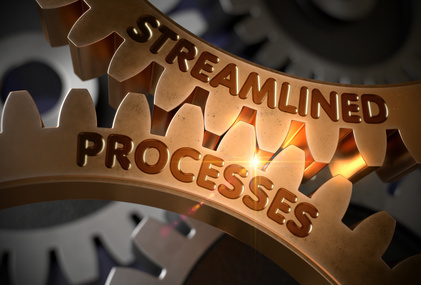 The OTA consortium model provides tremendous flexibility, streamlined processes and procedures, and access to the broadest possible pool of prospective vendors. This is a guest post by Donna Porch, former program director for MO PTAC-Kansas City. Q: What are bonds and when are they required? According to the Federal Acquisition Regulations (FAR), a bond is a written document between a bidder or contractor (the principal) and a second party (the surety) to ensure fulfillment of the principal’s obligations to a third party (the obligee or government) identified in the bond. If the principal’s obligations are not met, the bond ensures payment, to the extent stipulated, of any loss sustained by the obligee. Put simply, bonding protects the government from financial losses. Contractors seeking bonding must be prepared to prove to a surety that their company has the capacity, character and capital to perform the project(s) on which they are seeking to be bonded. Sureties want to be sure that entering into a bond relationship with a contractor is a good business decision. 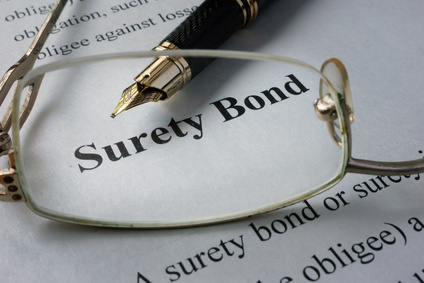 Prior to issuing a bond, a surety will analyze a contractor’s capacity to perform (necessary equipment), financial strength (good credit history and line of credit), past performance in similar contracts, and organizational structure. In construction projects, it is typical for the federal government to require bid, performance and payment bonds. A bid bond provides financial assurance to the government that a contractor has submitted the bid in good faith, that the contractor will not withdraw a bid and that if awarded the contract, the contractor intends to enter into the contract at the bid price. A bid bond also ensures that the contractor will provide the required performance and payment bonds. A performance bond protects the government from financial loss should the contractor fail to perform the contract in accordance with the terms and conditions of the contract documents. A payment bond guarantees the contractor will make payments to all subcontractors supplying labor and material in performing the government contract. An ancillary bond guarantees other factors incidental but often essential to perform a contract. Unless waived, bid bonds are only required when performance bonds or performance and payment bonds are required. In such cases, all bidders must submit a bid bond with the offer. The bid bond amount shall be at least 20 percent of the bid price but shall not exceed $3 million. The Miller Act requires a successful bidder to submit performance and payment bonds for any construction contract exceeding $100,000. This requirement may be waived in limited circumstances. Unless the contracting officer determines that a lesser amount is adequate for the protection of the government, performance and payment bonds shall be 100 percent of the original contract price. If the contract price increases, the performance and payment bonds must also increase by the same amount. Generally, federal government agencies do not require performance and payment bonds for contracts other than construction contracts. However, they may require performance bonds when a contract exceeds the simplified acquisition threshold ($100,000) and government property/funds are provided to the contractor for use in performing the contract; when substantial progress payments are made to the contractor; or if the contract is for dismantling, demolition or removal of improvements. A payment bond is only required when a performance bond is required and if its use is in the government’s interest. Annual bid bonds and annual performance bonds might be used in lieu of individual bonds for each project. Reference the FAR Part 28 Bonds and Insurance for further guidelines on bonding for federal government contracts. State and local government agencies may also use bonds for their financial protection. However, they may use them in different contracting situations and with different dollar values. For more information on bonding, consult your local Missouri Procurement Technical Assistance Center (MO PTAC). A list of MO PTAC training seminars is available online. Donna Porch was a former program director for MO PTAC-Kansas City. This article originally appeared at https://missouribusiness.net/article/bonding-basics/ (with permission from the Kansas City Small Business Monthly) and was reprinted with permission. This is a guest post by Steven Koprince of SmallGovCon. The VA cannot buy products or services using the AbilityOne List without first applying the “rule of two” and determining whether qualified SDVOSBs and VOSBs are available to bid. Today’s decision [originally printed on May 30, 2017] of the U.S. Court of Federal Claims in PDS Consultants, Inc. v. United States, No. 16-1063C (2017) resolves–in favor of veteran-owned businesses–an important question that has been lingering since Kingdomware was decided nearly one year ago. The Court’s decision in PDS Consultants makes clear that at VA, SDVOSBs and VOSBs trump AbilityOne. 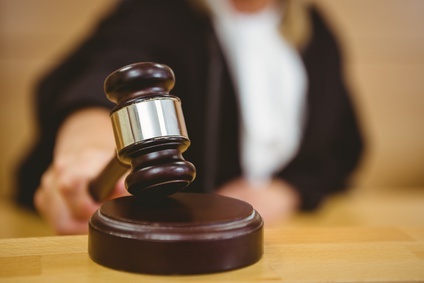 The Court’s decision involved an apparent conflict between two statutes: the Javits-Wagner-O’Day Act, or JWOD, and the Veterans Benefits, Health Care, and Information Technology Act of 2006, or VBA. As SmallGovCon readers know, the VBA states that (with very limited exceptions), the VA must procure goods and services from SDVOSBs and VOSBs when the Contracting Officer has a reasonable expectation of receiving offers from two or more qualified veteran-owned companies at fair market prices. Last year, the Supreme Court unanimously confirmed, in Kingdomware, that the statutory rule of two broadly applies. The JWOD predates the VBA. It provides that government agencies, including the VA, must purpose certain products and services from designated non-profits that employ blind and otherwise severely disabled people. The products and services subject to the JWOD’s requirements appear on a list known as the “AbilityOne List.” An entity called the “AbilityOne Commission” is responsible for placing goods and services on the AbilityOne list. But which preference takes priority at VA? In other words, when a product or service is on the AbilityOne list, does the rule of two still apply? That’s where PDS Consultants, Inc. enters the picture. The AbilityOne Commission added certain eyewear products and services for four Veterans Integrated Service Networks to the AbilityOne List. VISNs 2 and 7 had been added to the AbilityOne List before 2010. VISNs 2 and 8 were added to the AbilityOne list more recently. PDS filed a bid protest at the Court, arguing that it was improper for the VA to obtain eyewear in all four VISNs without first applying the rule of two. The VA initially defended the protest by arguing that AbilityOne was a “mandatory source,” and that when items were on the AbilityOne List, the VA could (and should) buy them from AbilityOne non-profits instead of SDVOSBs and VOSBs. But in February 2017, just two days before oral argument was to be held at the Court, the VA switched its position. The VA now stated that it would apply the rule of two before procuring an item from the AbilityOne list “if the item was added to the List on or after January 7, 2010,” the date the VA issued its initial regulations implementing the VBA. For items added to the AbilityOne List beforehand, however, no rule of two analysis would be performed. (As an aside–the VA seems to be making a habit of switching its positions in these major cases). The parties agreed that the VA’s new position mooted PDS’s challenges to VISNs 6 and 8, which would now be subject to the rule of two. But what about VISNs 2 and 7? PDS pushed forward, challenging the VA’s position that it could issue new contracts in those VISNs without performing a rule of two analysis. PDS argued, in effect, that nothing in the VBA allowed products added to the AbilityOne List before 2010 to somehow be “grandfathered” around the rule of two. The court finds that the VBA requires the VA 19 to perform the Rule of Two analysis for all new procurements for eyewear, whether or not the product or service appears on the AbilityOne List, because the preference for veterans is the VA’s first priority. If the Rule of Two analysis does not demonstrate that there are two qualified veteran-owned small businesses willing to perform the contract, the VA is then required to use the AbilityOne List as a mandatory source. [T]he VA has a legal obligation to perform a Rule of Two analysis under the VBA when it seeks to procure eyewear in 2017 for VISNs 2 and 7 that have not gone through such analysis – even though the items were placed on the AbilityOne List before enactment of the VBA. The VA’s position that items added to the List prior to 2010 are forever excepted from the VBA’s requirements is contrary to the VBA statute no matter how many contracts are issued or renewed. The apparent conflict between JWOD, on the one hand, and the VBA, on the other, was one of the major legal issues left unresolved by Kingdomware. Now, as we approach the one-year anniversary of that landmark decision, the Court of Federal Claims has delivered another big win for SDVOSBs and VOSBs. This post originally appeared on the SmallGovCon blog at http://smallgovcon.com/service-disabled-veteran-owned-small-businesses/another-big-win-for-vets-sdvosbs-trump-abilityone-at-va-court-rules/#sthash.7trmkUf9.dpuf and was reprinted with permission. “Mr. Jaffe, isn’t it still very difficult for EDWOSB firms that provide services, i.e., program and project management, to receive sole source contracts due to the Rule of Two? The 8(a) program is different in that they can sole source to firms even if there are 100 other 8(a)s that can provide that service, whereas if a client wants a particular firm but there are others that provide the service then they can do a set aside, but can’t directly award a sole source contract to that EDWOSB. My team and I dug a little deeper, but unfortunately we didn’t have any better news for Matthew. Indeed, the Rule of Two applies to the WOSB program, as it does to all other set-aside programs. WOSB sole source requires you follow the same rules that you do for service-disabled veteran-owned small business or HUBZone sole source procurements. Contracting officers can accept TPC (third-party contracting) when verifying an offeror’s eligibility for WOSB or EDWOSB set-aside contracts or sole source awards. As well, contracting officers can accept a WOSB’s or EDWOSB’s self-certification, as long as the contracting officer verifies that the required documentation has been uploaded to the WOSB Repository. Contracting Officers’ roles and responsibilities in connection with the WOSB Program are discussed in FAR 19.15. If you have more questions, I’d suggest you contact your local Procurement Center Representative (PCR) for guidance on WOSB Program requirements. The new FAR clause 52.242-5 defines a reduced payment as a payment that is for less than the amount agreed upon in a subcontract in accordance with its terms and conditions, for supplies and services for which the Government has paid the prime contractor. An untimely payment is defined as one that is more than 90 days past due under the terms and conditions of a subcontract, for supplies and services for which the Government has paid the prime contractor. As I discussed in a previous post, these incidents then get reported into a system called FAPIIS, and a history of delayed payments in FAPIIS will affect a prime’s CPARS rating (Contractor Performance Assessment Reporting System), which could affect eligibility for future contracts. These new clearer definitions give this ruling some teeth. Since it’s possible to get dinged in a permanent accountable way that will be noticeable to prospective customers, it’s advantageous for primes to pay on time.